Kristin Kimbrough is a proud fifth generation resident of the city of Lincoln. 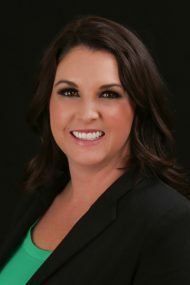 She brings 14 years of experience in escrow to Stewart Title, where she works with investors, handles new homes sales, REO’s, and exchanges, as well as refinances and conventional sales. Her attention to detail, professionalism, and passion to providing the most outstanding service to her clients is a fundamental contributor to her success as a escrow officer. A member of the Lincoln Chamber of Commerce and an affiliate member of PCAR, Kristin brings a sense of pride that as an escrow officer for Stewart Title, she was an integral part of being the only title company to currently be doing business in her hometown of Lincoln. A proud mother of three, Kristin has been very involved in youth sports including Lincoln Girls Softball and Lincoln High School football.